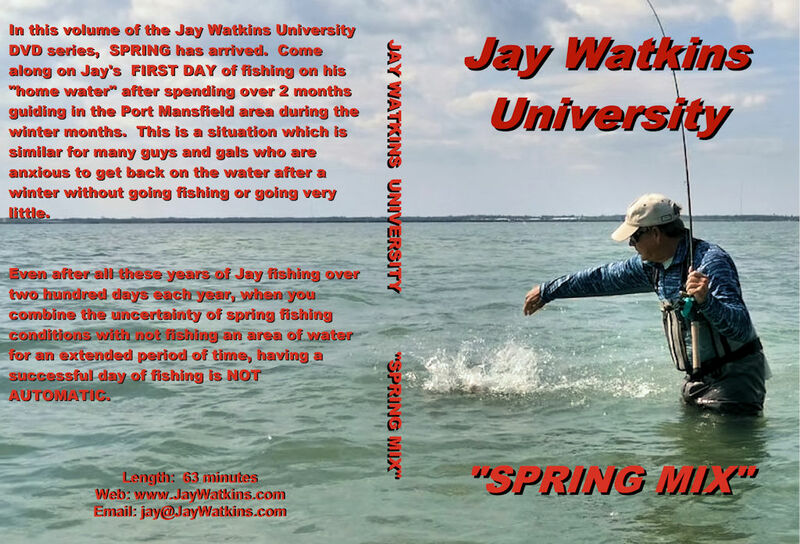 With over 30 years guiding experience on Middle Texas Coast, Jay's specialty is wade fishing with artificial lures & teaching clients about the wheres, whens and whys of fishing. 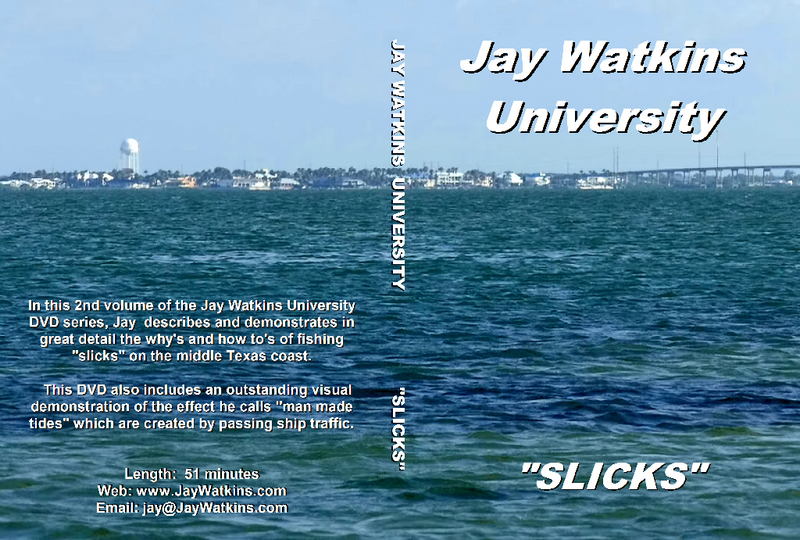 Effective May 20, 2019, we are discontinuing the Jay Watkins University (JWU) on-line videos feature. All members with unused viewing minutes should view and/or download videos to use up their viewing minutes BEFORE this date. 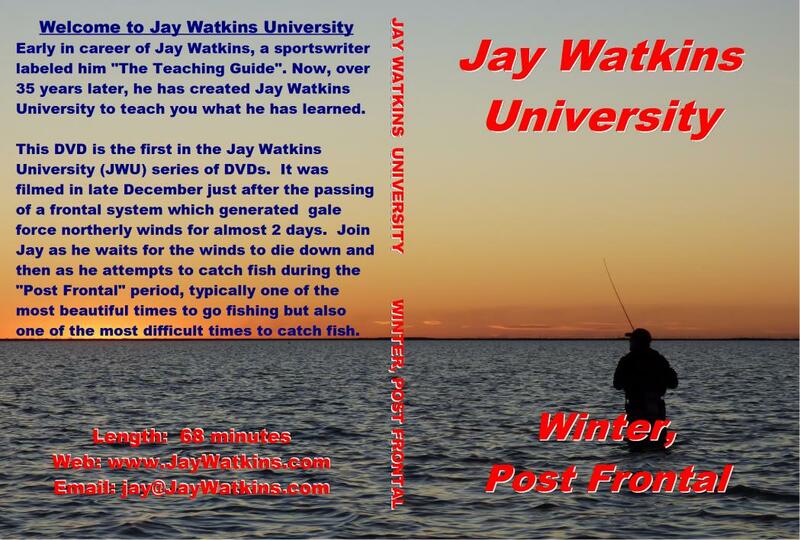 We are discontinuing the on-line video feature to give us more time to work on a BRAND NEW series of Jay Watkins University (JWU) Seasonal Guidelines videos. 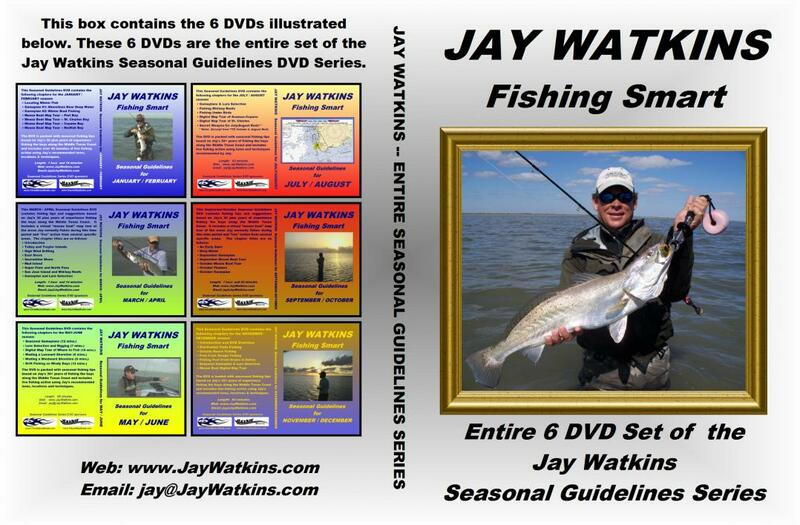 Jay Watkins University DVD -- "SPRING MIX"
Jay Watkins University DVD -- "SLICKS"
Now, members of the "Gameplan Club" can access on-line detailed fishing reports from their computers and smart phones. Even better, members can specify specific days (rather than weeks as previously offered). Furthermore, only days which are considered "Gameplan Worthy" are available for selection.